Another connector which we walked passed, as part of the 9km chain was the Henderson Waves. 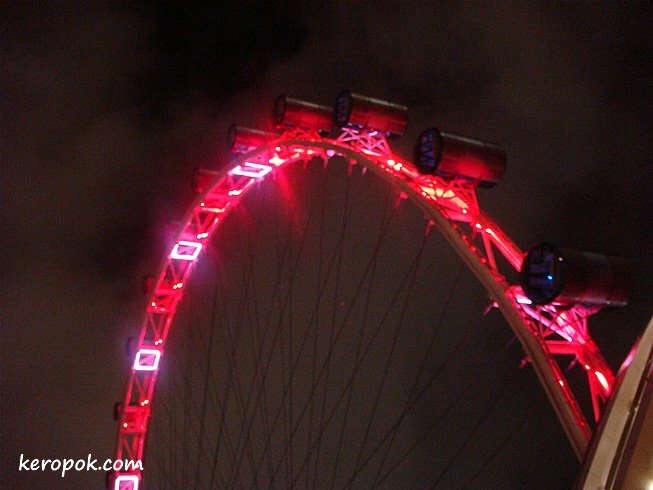 This is the tallest pedestrian bridge in Singapore. It seems that it is +65.59m above sea level. 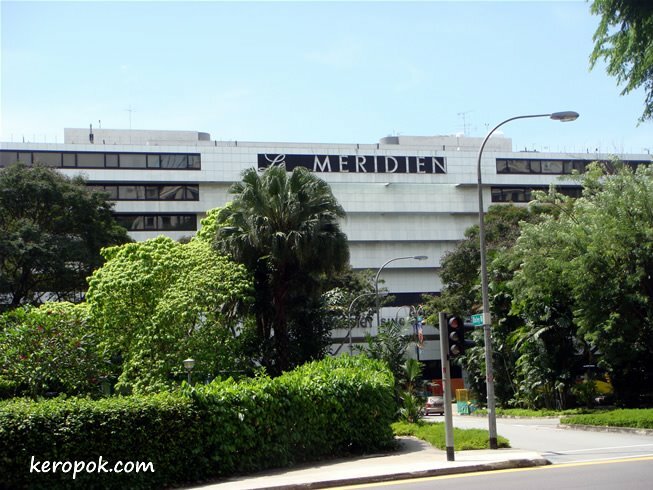 This bridge is just above Henderson Road and it connects Mount Faber Park to Telok Blangah Park. Another character from the Wizard of Oz at Hort Park. Can anyone guess who this is ? Shell V-Power for the price of Shell Formula 98 this weekend. 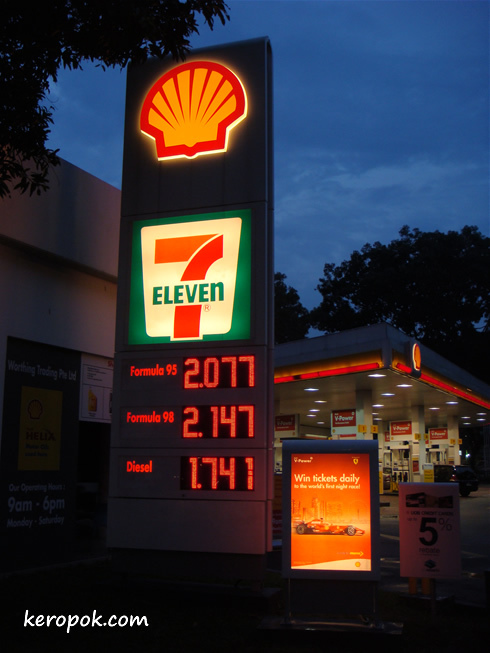 Last Friday, I posted a price of petrol prices in Singapore. This week, the price seems to have gone up again! 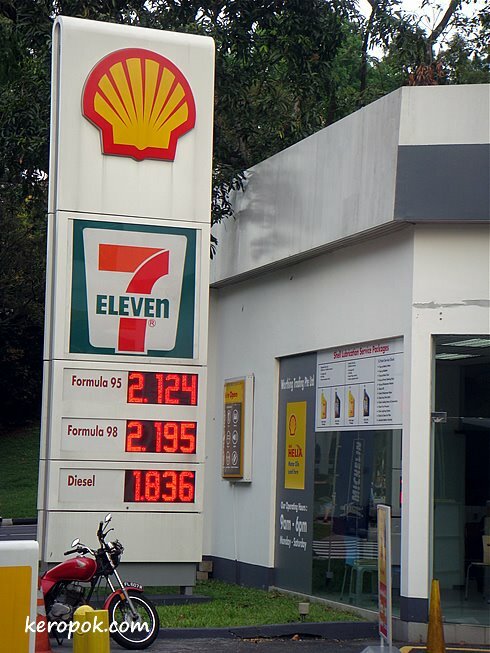 A friend was telling Momo and myself that some people have observed that whenever Ferrari wins a major race, the next weekend, Shell Singapore will have a promotion where their V-Power that powers Ferrari will be sold at the cheaper Formula 98 price. 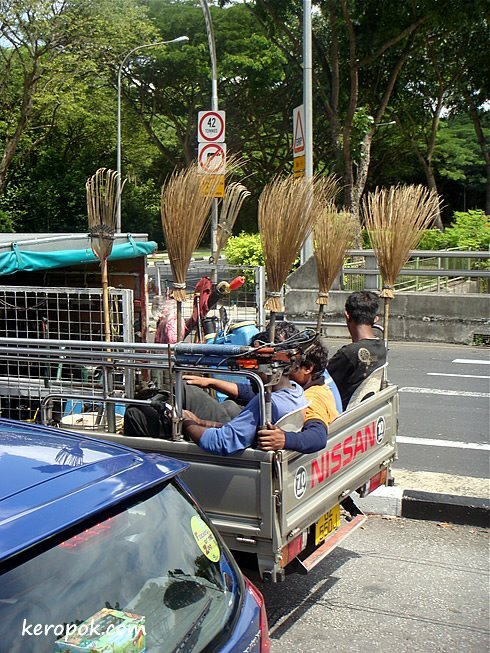 Lidi Brooms (brooms made from the ribs of coconut palms), is one of the best brooms to sweep leaves, and is commonly used in Singapore, Indonesia and Malaysia. It sometimes called the wonder broom. It really sweeps well! It is environmentally friendly, as it is made from a ribs of coconut palms and contain no plastics. In the Malaysian or Indonesian language, its called the Penyapu Lidi / Sapu Lidi. The way it's arranged on this little truck, just breaks a smile to our faces. 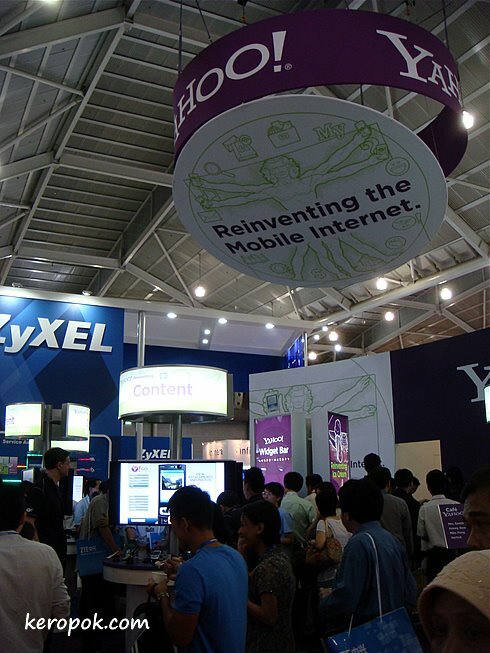 Taken a few days ago at CommunicAsia. The event's way over, but here's a photo of it anyway. One of the more popular booth, because Yahoo! was giving out ice cream with distinctly local flavours. 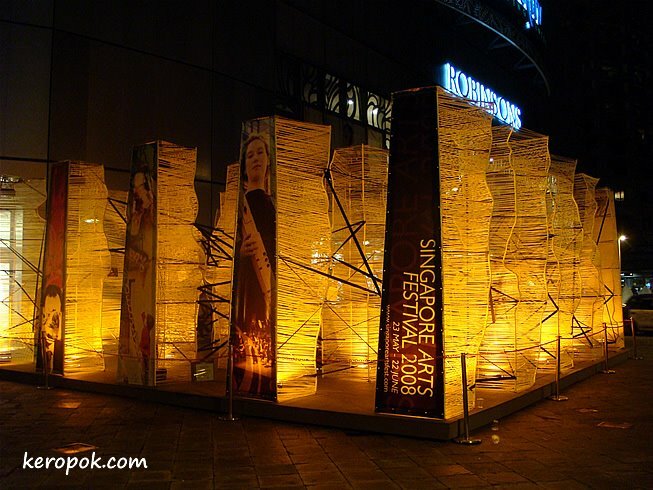 You can view this Singapore website, IZ Reloaded for photos of it. Did not take any photo of it, because I was asking the Yahoo people about Yahoo Go! 3.0. If own a LG KS20, it's confirmed it does not work with Yahoo Go! 3.0 I got the answer straight from them. The other attraction was the demo by Japan's NHK about its Ultra High Definition TV. The demo was a big WOW! 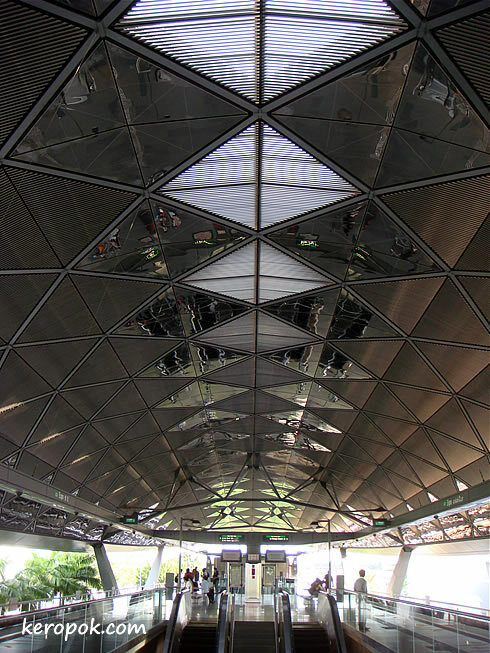 I only found out recently that this train station is designed by a world renowned British architect. Of all places, I found out when I was in a bookshop overseas! I took this a few days ago. 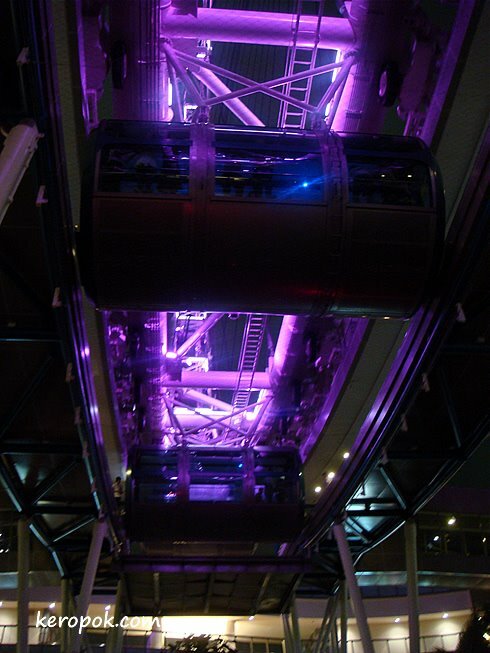 From the outside, it looks like a spaceship! You can read more about this station in wikipedia. 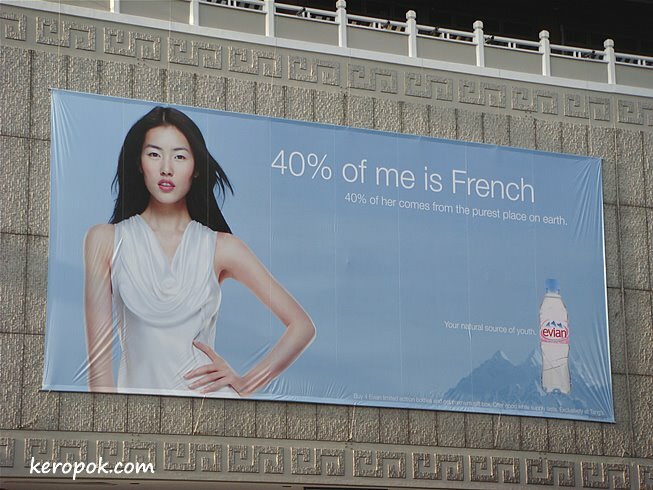 These fellow Daily Photo Bloggers are from France and they are most probably 100% French. Look, there's so many DP from France! Where my colleagues and I had lunch yesterday. It seems to be the headlines of the news almost everyday. How much is petrol in your city? Last one... 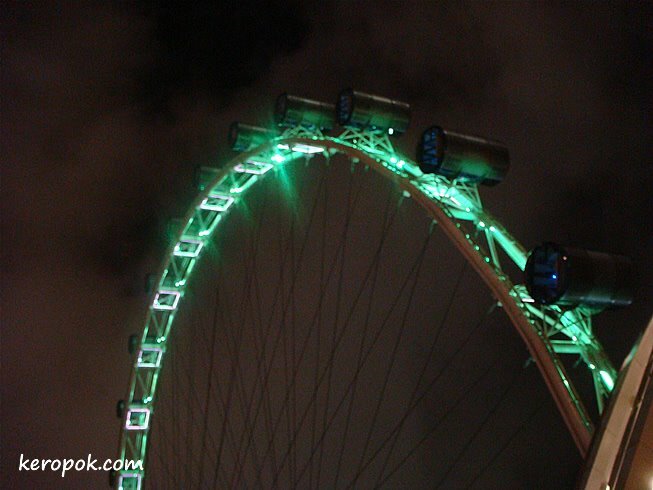 I shall not post anything about Singapore Flyer in the near future. Flyer Overdose! Blue seems to be the favourite. What about green? The same wheel, now in yellow. 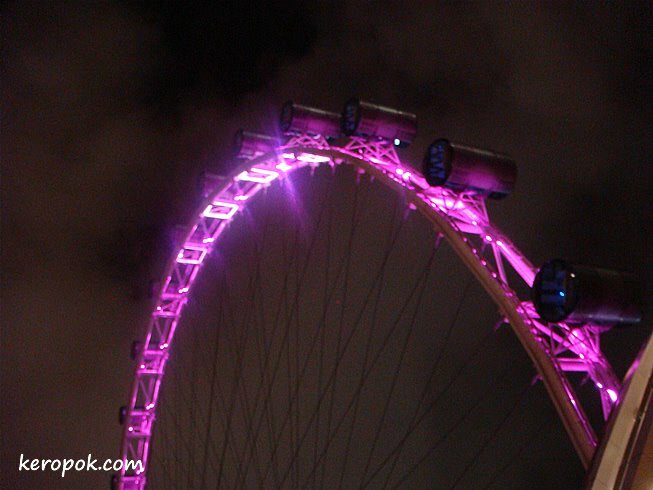 Singapore Flyer glowing in purplish hue. 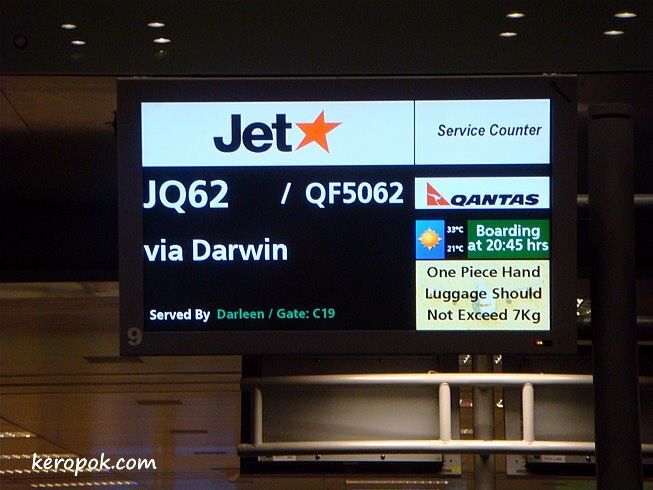 I flew back to Singapore a moment ago on a Jetstar Flight. It was tiring. 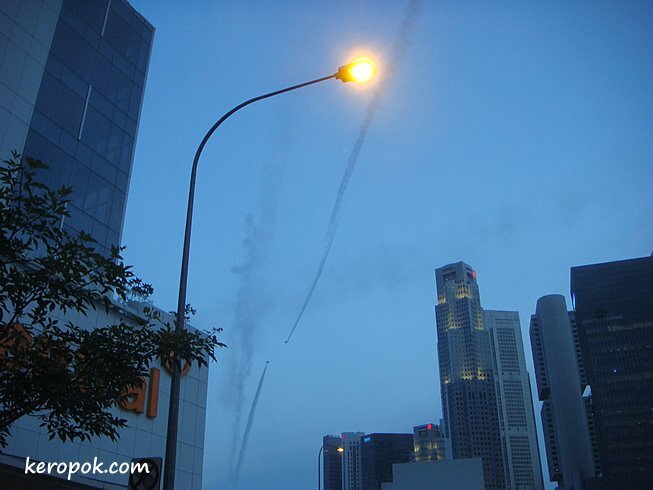 As I was not around in Singapore for more than a week, these are some photos taken few weeks ago. Using it as filler before I go out and take photos again. 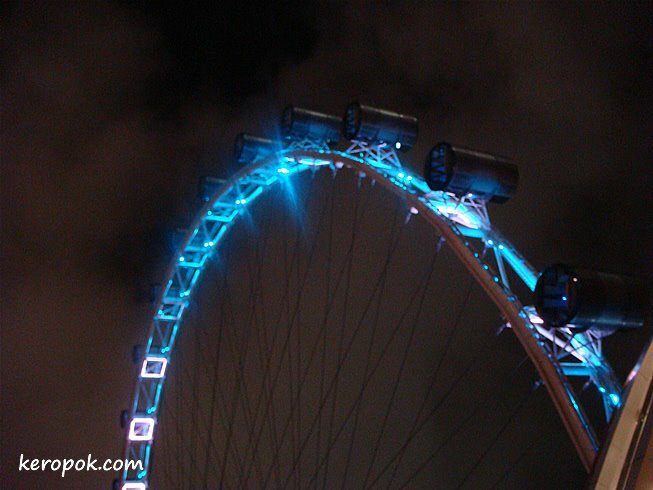 The Singapore Flyer glowing in blue hues. 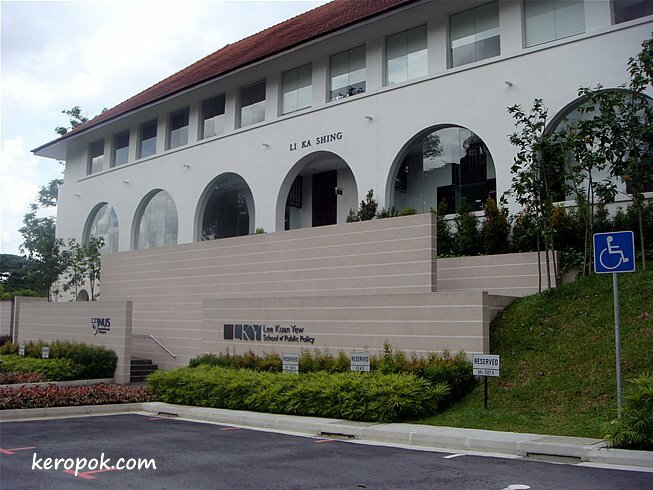 The Lee Kuan Yew School of Public Policy at NUS. 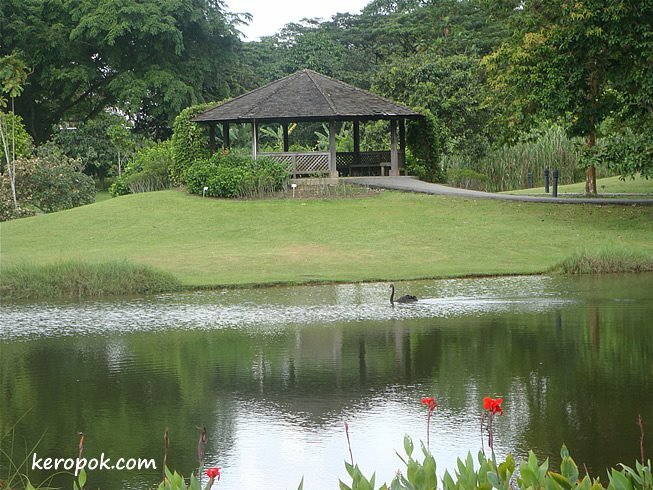 A view at the Singapore Botanic Gardens. A colleague who usually drops by says this swan has been around for a long time. This is what I saw at the airport. Loads of flat screen TVs. What are they doing here at the check in counter? We heard that these are all bound for India. 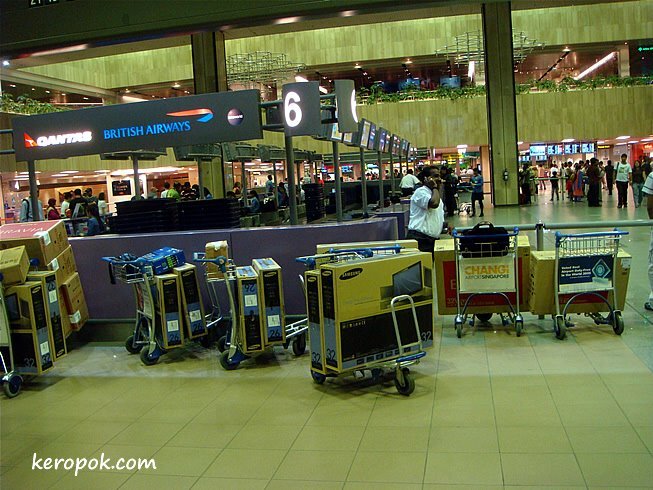 Indian tourists cart loads of flat screen TVs from Singapore back to India. They are considered very very cheap in Singapore compared to India. A few days has past. 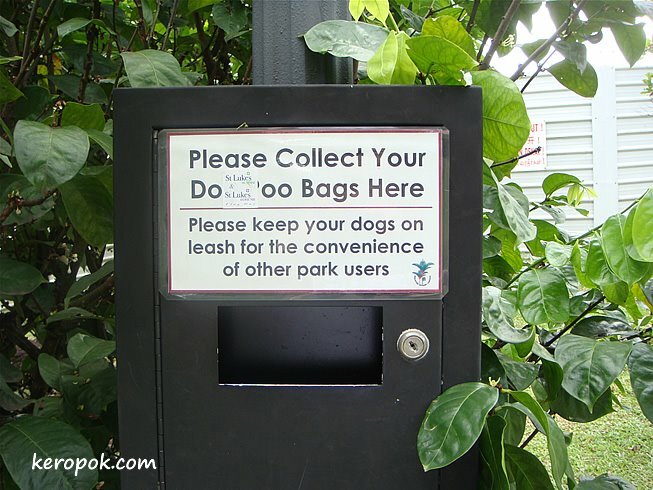 I am now in Darwin, but it's still a Singapore photo I am posting. 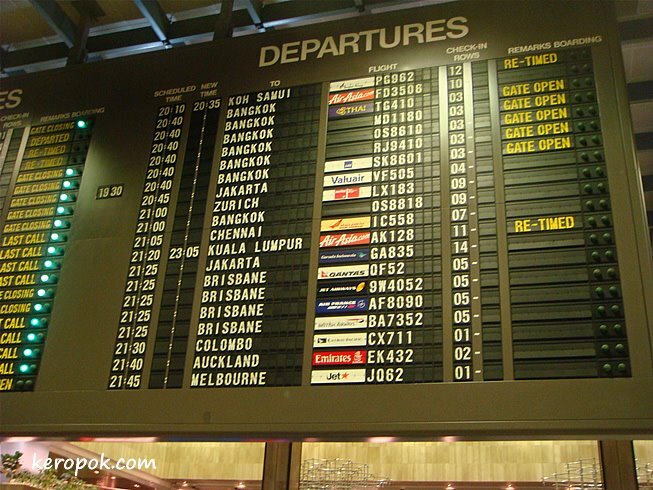 The check in counter at Terminal 1. 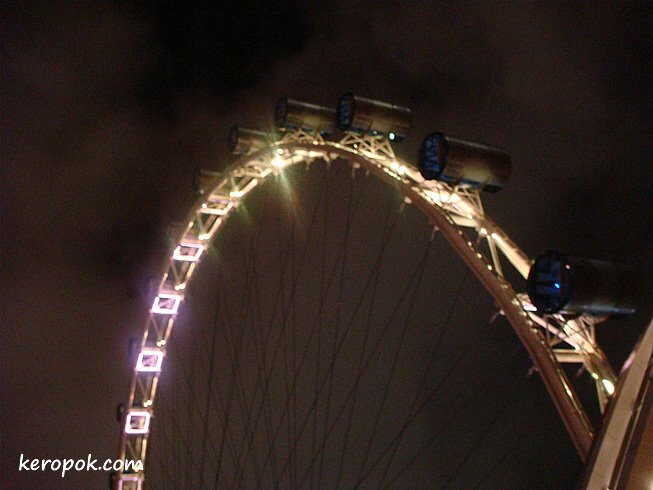 View of the Singapore Flyer from below the big giant wheel. The same photo from yesterday, but with a more intense yellow. I am going off for a holiday. Sitting at Burger King and posting this photo up. 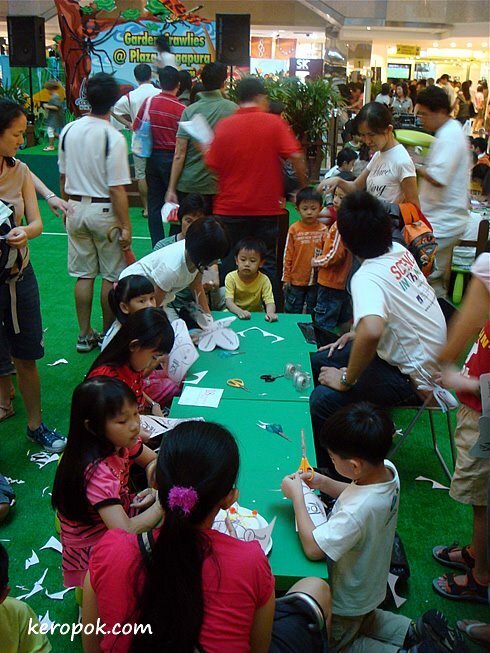 Little children enjoying themselves doing handicrafts at a shopping mall. It's the school holidays. Parents will be bringing their children out for activities and sorts. 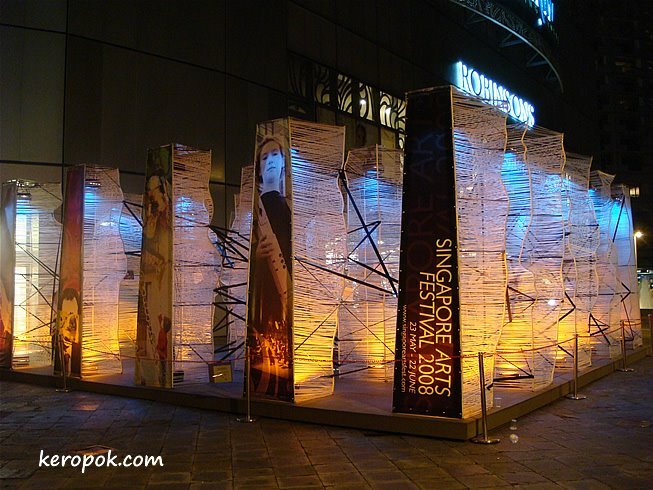 Plaza Singapura has some very interesting event on its open space. 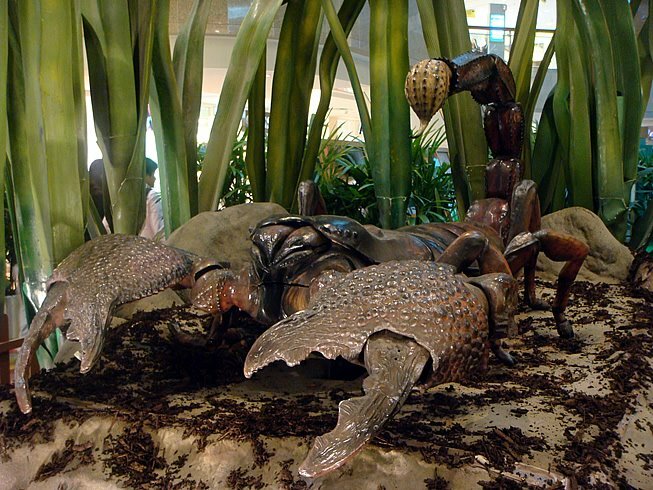 X-ploring Garden Crawlies is what it is called. 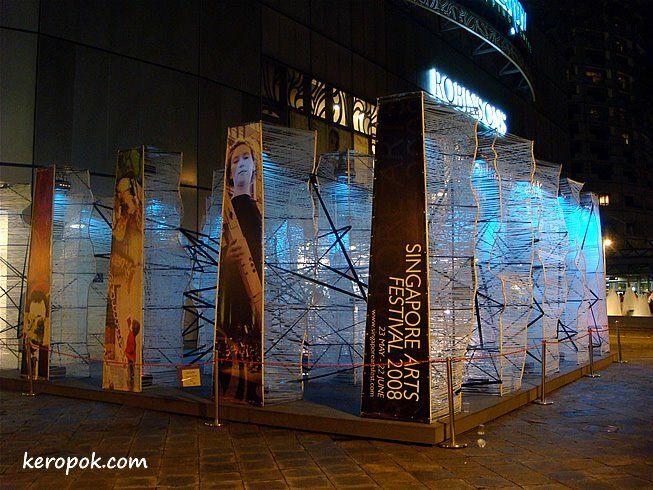 It's on from 29 May till 11 June 2008. What caught my eye, a giant scorpion. 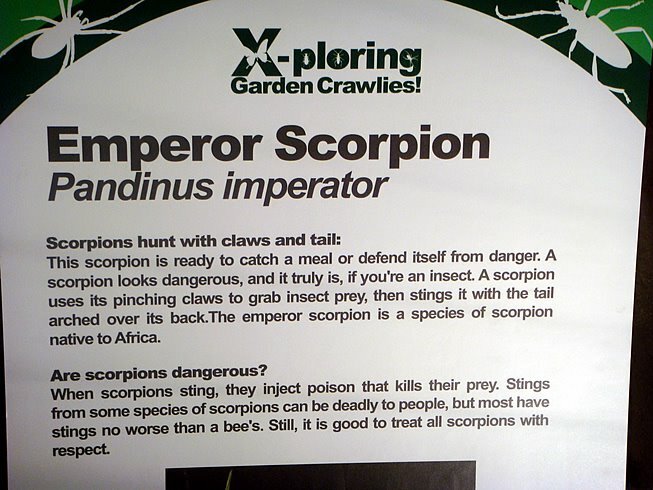 Are you terrified of scorpions? I am! I happen to be at United Square yesterday and everyone in the mall had their eyes glued at the centre open space as primary and secondary school children was having fun in this competition. It's the High School Musical: The Ice Tour Shootout. 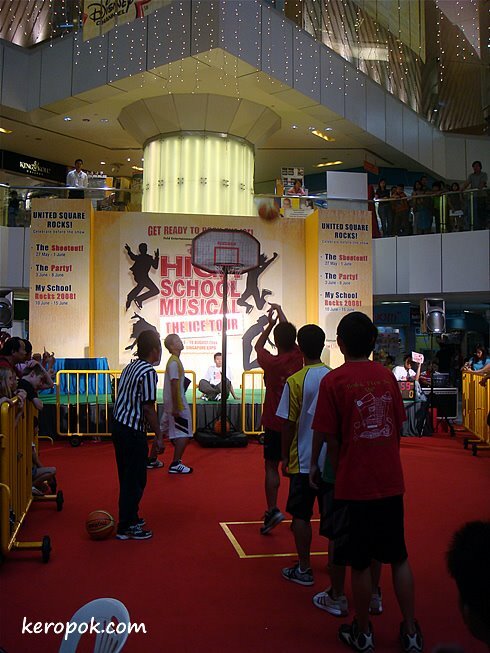 It is a basketball shooting competition that involves 5 school mates in a team, each taking turns to shoot the ball and scoring as many points as possible in 2 minutes. High School Musical is a hit amongst children. Have you watched the show on TV before? I enjoyed watching it! It's the Daily Photo group's Theme Day again! For June the theme is Local Corner Shop. What is your favourite corner store or local shop in your city? This was taken yesterday and it is... a bit 'eye catching'. This is on display in one of the local shops in Singapore, a department store called Robinsons. They are having a Bra Closet Sale. Join the rest of my fellow Daily Photo bloggers around the world. Check out how they interpret the theme.